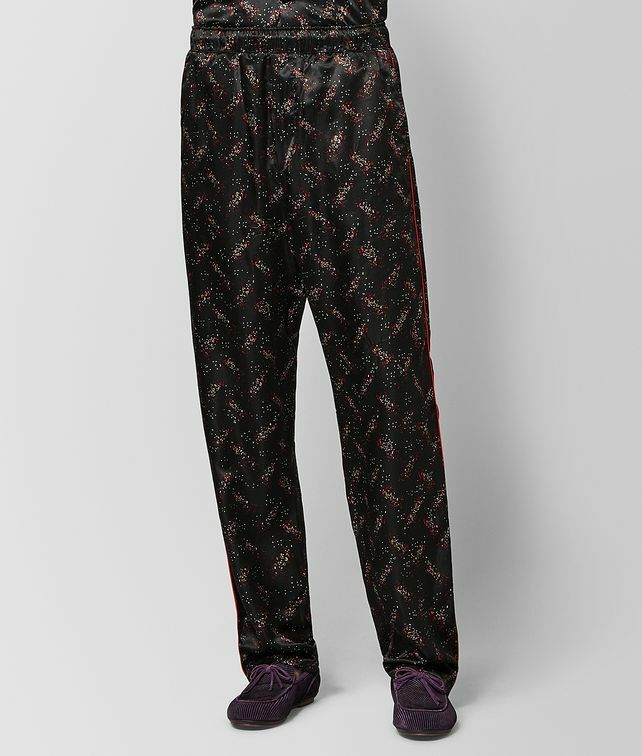 These pyjama-style trousers are designed to complement the season’s luxe loungewear sensibility, which reflects the quieter side of life in New York City. The fluid, satiny material features a motif that echoes the speckled look of tweed, printed in a pattern that echoes the intrecciato motif. Cut with an elastic waist and full leg, the trousers are both relaxed and refined. Wear them with a dark knit or pair them with the matching pyjama-style shirt. Finished with piping on the side seams.